Old Oak Guest House offers an ideal venue for your wedding. Catering for up to 60 guests in the beautiful garden which lends itself to unforgettable wedding photography. And why not spend your honeymoon night in the Old Oak Guest House honeymoon suite. Informal Conference facilities for up to 15 delegates with full catering is available. Please contact Old Oak Guest House for package details for half day and full day conferences in addition to menu options. All rooms are en-suite, spacious and individually styled. Televisions, a tea and coffee station and personalised toiletries complete the Old Oak Guest House experience. 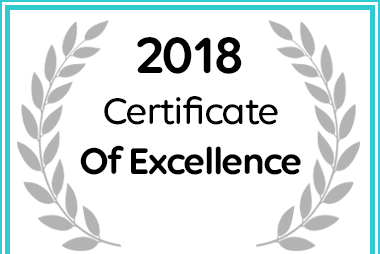 . .
Old Oak Guest House received a Certificate of Excellence for 2018.